Wow, what a week, and tomorrow is Friday, YAY! Looks like we are going to have a busy, busy weekend. Our church youth retreat is this weekend, and of course my husband has reminded me, more than once, that it’s muzzle loader season. So, I guess if I need him for anything I will know where to look for him, in the woods! Speaking of my husband, look at what he and my boys got my for my birthday! 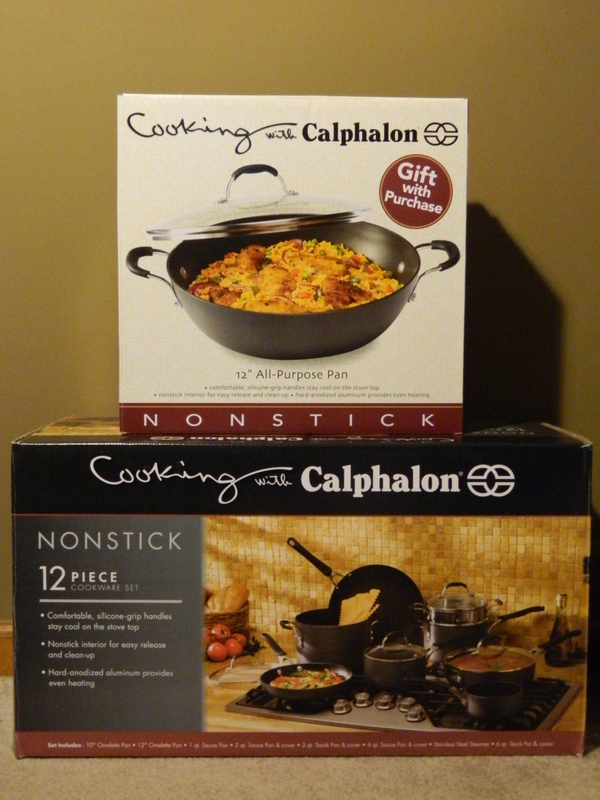 And what a deal, buy the 12 piece cookware set and get a gift with purchase; the 12″ all, purpose pan! It was on sale at Kohl’s and I had a 30% off coupon, practically stole it! I highly recommend Calphalon cookware, I absolutely love mine. Food Network chef Michael Symon uses and endorses Calphalon. However, I am sure the Calphalon cookware set he uses cost a whole lot more than mine!